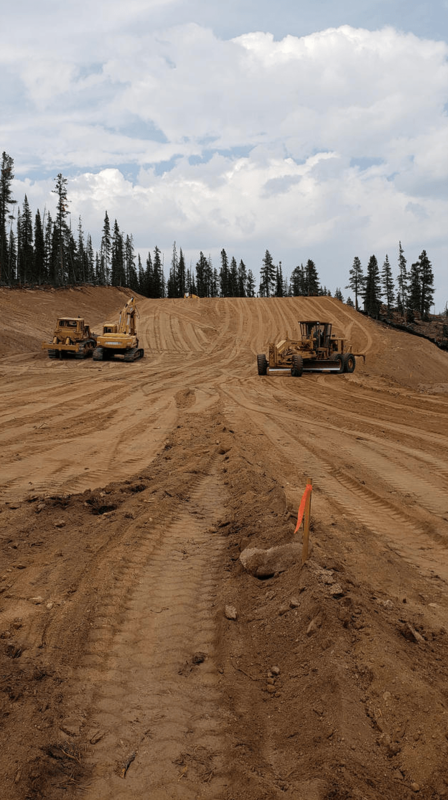 The grading work for the tubing park is moving along. The slope includes steeper grades in the acceleration zone and then levels out down in the run-out. The tubing lanes will cross what was the bottom of the Ramble On ski trail just above the Safari Ski & Ride School area. Guests will have a great view of the tubing park from the top of the stairs coming up from the parking lot as seen in the image below.